Purging compounds although more expensive per kilo than Polypropylenes are overall more cost effective as they require 50% less material to clean and also take 75% less time. 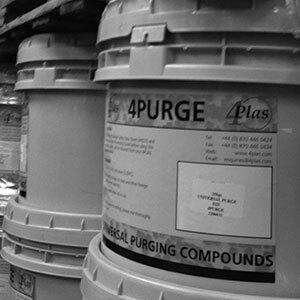 4PURGE® is the registered trade name for Purging compounds produced by 4PLAS. These highly effective products have been developed using a polymer base with scrubbing and foaming additives. 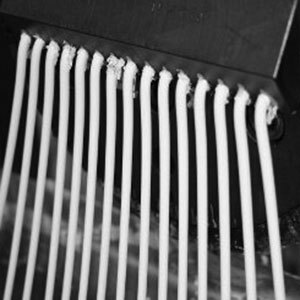 4PURGE® can be used to clean a wide range of thermoplastic materials from plastic processing equipment including extrusion, blow moulding, injection moulding and compounding plant. General purpose high performance hot runner purge, same great results as above but developed for hot runners and hot tips. Custom purges can also be developed to assist you with specific problems, if you would like advise on selecting suitable materials, or you cannot find what you are looking for, please contact us and one of our team will be pleased to assist you. 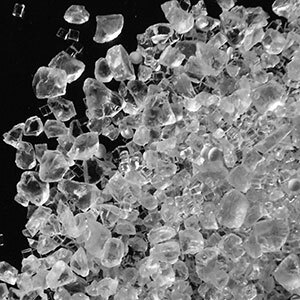 4PURGE® grades are supplied in pellet form and packed in moisture proof 25kg bags or in 25kg re- sealable tubs. 4PURGE® has low moisture absorption and under normal conditions can be processed straight from the bag or tub. 4PURGE® compounds can be processed on all commercial injection moulding & extrusion machinery. When purging check that the all zones are within the temperature range 150°C - 290°C. Retract the injection unit. Run the barrel empty using maximum back pressure. Feed the required amount of 4PURGE® into the hopper. About ¼ to ½ barrel capacities are recommended for purging a typical machine, although the actual amount depends on the difficulty of the application and condition of the equipment. After 4PURGE® begins to pass through the nozzle, increase the screw speed to the maximum safe limit. Drop the back pressure after the 4PURGE® coming from the nozzle is almost clean. For more information on this product, see our processing guides. It is not recommended that 4PURGE® is reused, as performance will be dramatically reduced and the product may degrade. Under normal conditions 4PURGE® is not a toxic or hazardous material. During processing preventative action should be taken to avoid direct contact with the polymer melt or inhalation of any gases produced. Processing temperatures above 320°C should be avoided. Detailed safety information can be found in our material safety data sheets (MSDS). SAFETY GLOVES AND GLASSES SHOULD BE WORN AT ALL TIMES.